Spending time in KL after backpacking through the rest of South East Asia is comparatively expensive. Of course nothing compares to Singapore, but food, accommodation and entertainment in the Malaysian capital are likely to leave a dent in your wallet if you are not careful. That is precisely what started to happen to me. I intended to spend only a few days in KL with a friend to try some vegan restaurants before moving on – but life had different plans for me and I found myself stranded in Kuala Lumpur for nearly three weeks with a rather empty bank account. I had to be crafty and come up with ways to make my stay cheaper. Turns out, it’s absolutely doable to stay in KL on the cheap! Here are a few things I discovered. It’s possible to find cheap dorms for as low as $4 a night, but you have to look for them. Many people’s impression is that Bukit Bintang is where it’s at, but I don’t know how much I agree with that. The city is very well served by the monorail (MRT) and the light rail (LRT), and Chinatown is possibly a better area to stay on the cheap while still being very close to all the tourist attractions and transport. Le Village China Town, Fernloft, Agosto Inn, Backpacker’s Travelers Inn, Birdnest and Irsia all seem like decent options (I have not tried them myself, but would not hesitate to book a bed at any of them) with good reviews on Tripadvisor and Agoda, cheap dorms, wifi and some of them even have free filtered water refills and free breakfast (usually white bread, but just carry a jar of peanut butter and some bananas and you’re golden). Most places will give you a discount if you stay one week or more, so ask if you plan to do that. If, like me, you are on a mega tight budget, there are a gazillion Couchsurfing and Global Freeloaders hosts in KL, just make sure you contact them in advance as they book quite quickly (often the case with more expensive destinations). In my case, having recently converted to bicycle touring, I could stay at a wonderful Warmshowers (the Couchsurfing equivalent for cyclists) host family who cooked me amazing vegan food and took great care of me. 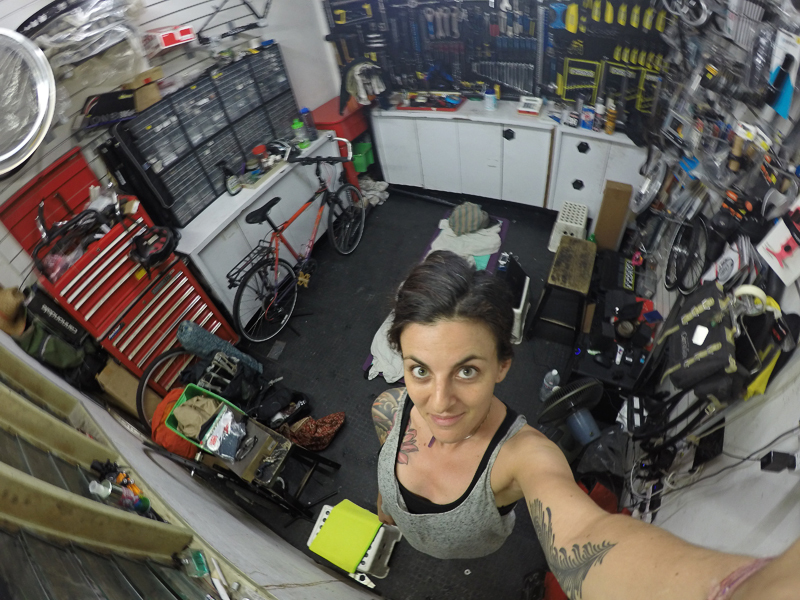 I also camped on the rooftop of another Warmshowers host right in downtown KL, and slept on the floor inside a bicycle shop; which made for some very unique experiences! Great vegan canteen ran by monks and volunteers. 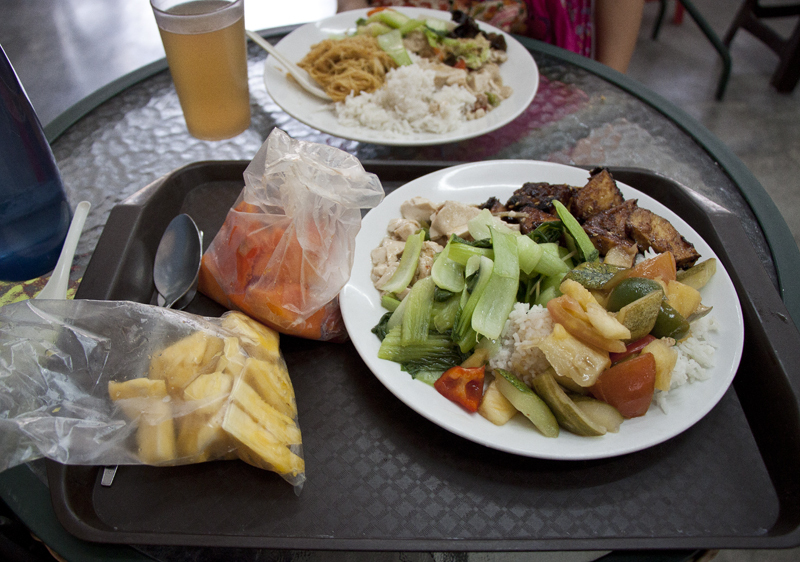 Piled-high plates will cost only about RM5-7. Free breakfast between 7:30am and 9:30am Monday to Friday and free lunch on the 1st and 15th of lunar calendar. Sunday morning Asa Ki War 6.30am-8am. Langar whenever there is a program. The downtown core of Kuala Lumpur is easily walkable and a great way to get your bearings on. 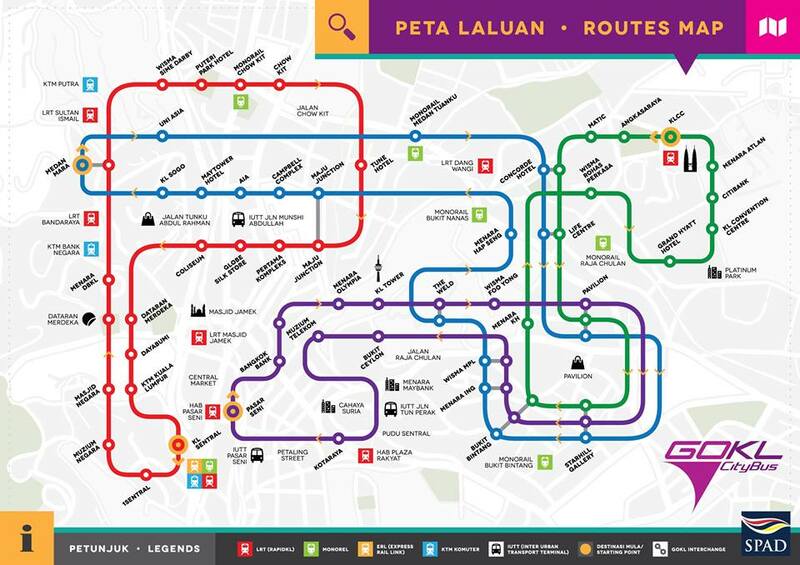 For everything else, the MRT and LRT are quite cheap and super efficient. Go KL is a free bus service initiative to improve public mobility into the Central Business District. There is a bus running the Chinatown to Bukit Bintang area and another from Bukit Bintang to the Petronas Towers. 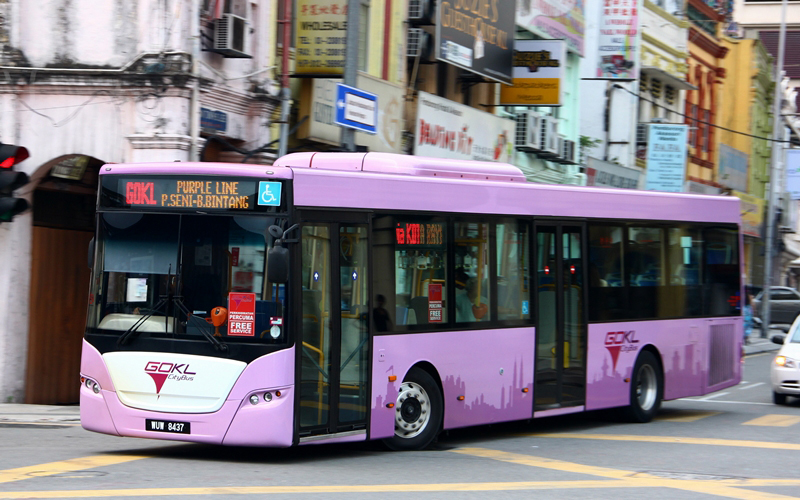 The light purple buses are easy to spot and operate from 6am to 11pm on weekdays and 7am to 11pm on weekends. The bus is quite frequent, stopping every 5 minutes on peak hours and 10 minutes the rest of the time. Download the map here. There is also a free bus that runs between Bangsar LRT and Midvalley Megamall, a frighteningly large mall where you are bound to find everything your heart desires. Look out for the yellow Causeway Link bus. If you have Uber installed on your phone, know that it is often cheaper than a normal taxi because they can’t scam you. 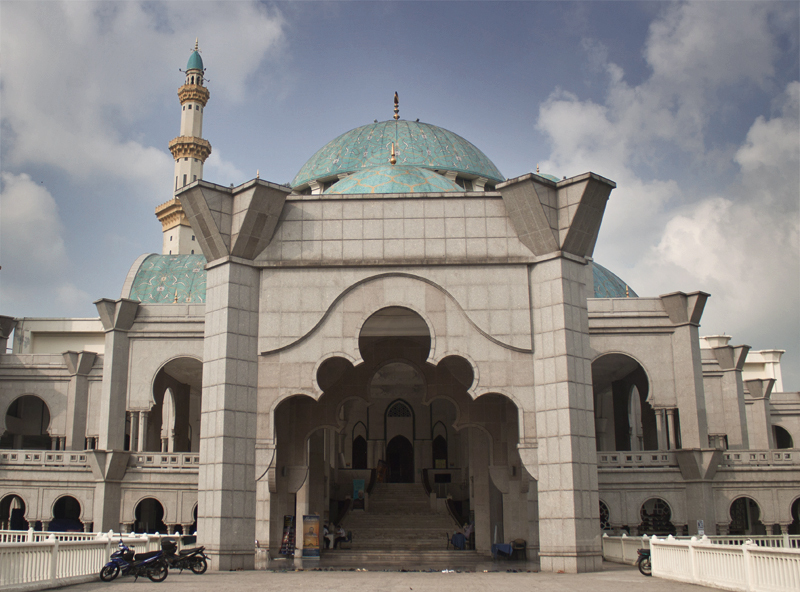 Most religious buildings are free to visit, and, with so many different faiths in Kuala Lumpur, there is a lot to explore. 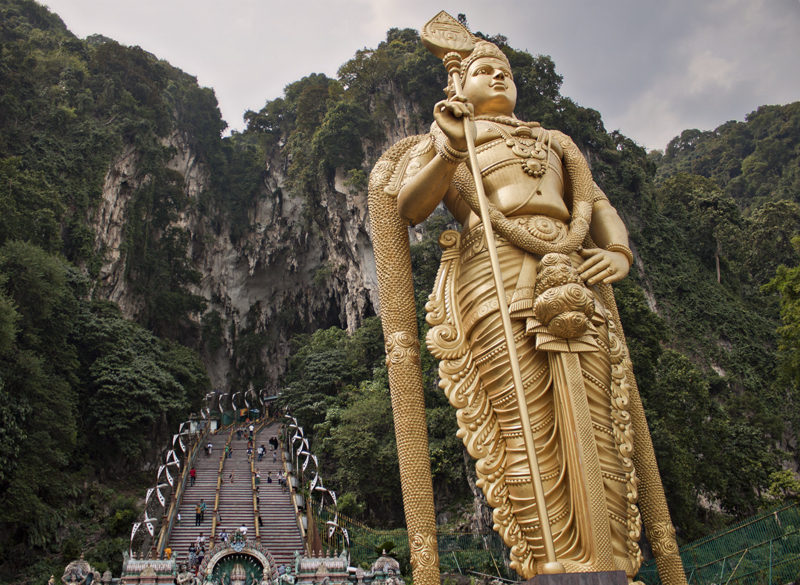 The Batu Caves, Putra Mosque (Putrajaya altogether is an interestingly odd place to visit), Masjid Wilayah Persekutuan and Sri Ganesh Temple are all fascinating places to explore for absolutely free. 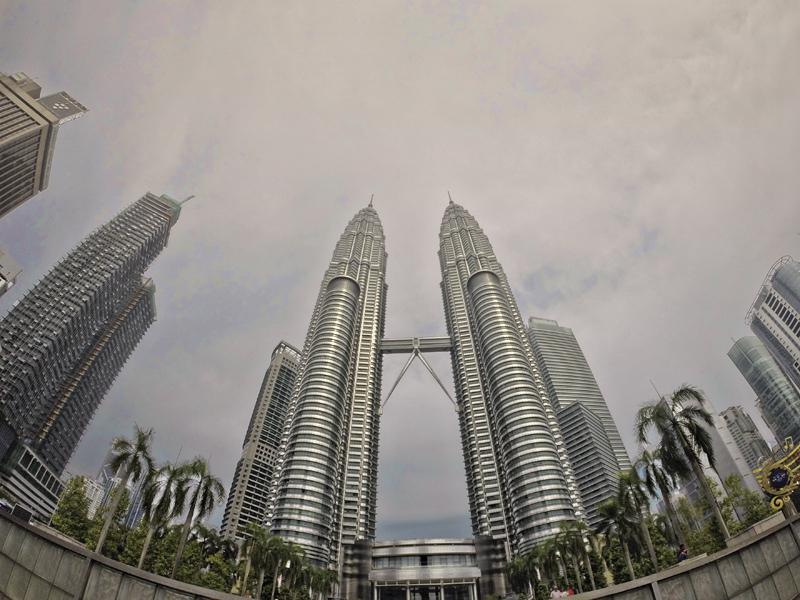 Going up the Petronas Towers is kind of pricey, but don’t stop yourself from visiting the surroundings. If you walk through the swanky mall and exit at the back, KLCC park is a lovely place to chill in with great views of the towers and a swimming pool. Free Dataran Merdeka Heritage Guided Tour is on at 9am every Monday, Wednesday and Saturday. Celebrity Fitness does a free 8 day pass to any of their gyms. 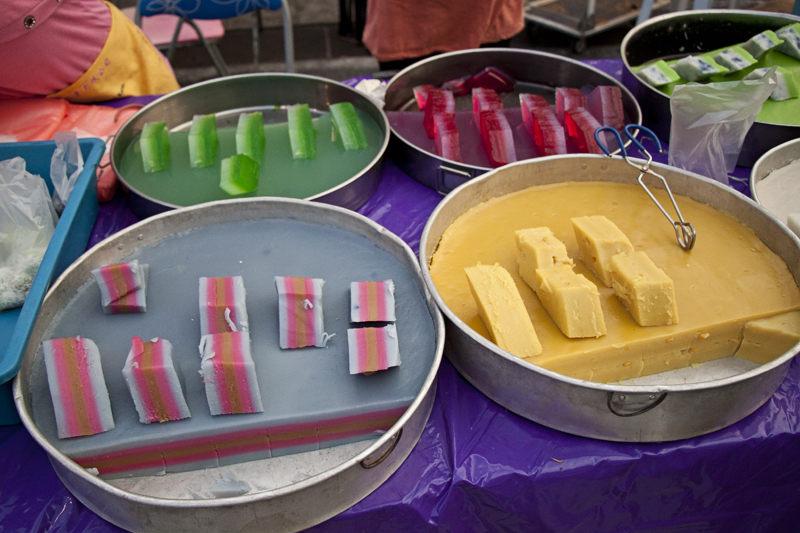 Got any more tips for doing Kuala Lumpur on the cheap? I’d love to hear! 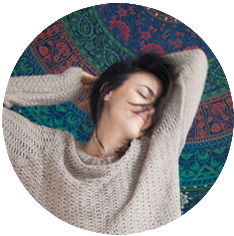 This entry was posted in Asia, Malaysia, Travel on August 29, 2015 by Amélie. Very comprehensive post!! 🙂 Love your recommendations for food, and of course the tips to save money. Actually I was thinking of booking a roomorama apartment in Chinatown too, for my trip to KL in a few weeks’ time. Would you say the area is safe, for a solo traveller like yourself? I like your blogs and especially the recent posts Are very helpful and interesting because i’m a Solo traveller myself. I’m usually couchsurfing or volunteering everywhere 🙂 your Tipps Are Great, especially considering the Fitness Club and the vegan Food. Thank you! Hi, good post! An addition to free entertainment is the music, light and fountain show held daily from 20.00 on in the pond in the little park at the patronus towers (at the back). Completely free and very nice. We just brought some food and enjoyed the atmosphere (can get busy in weekends, very popular among young malay). Oh yes, good point! Thanks!